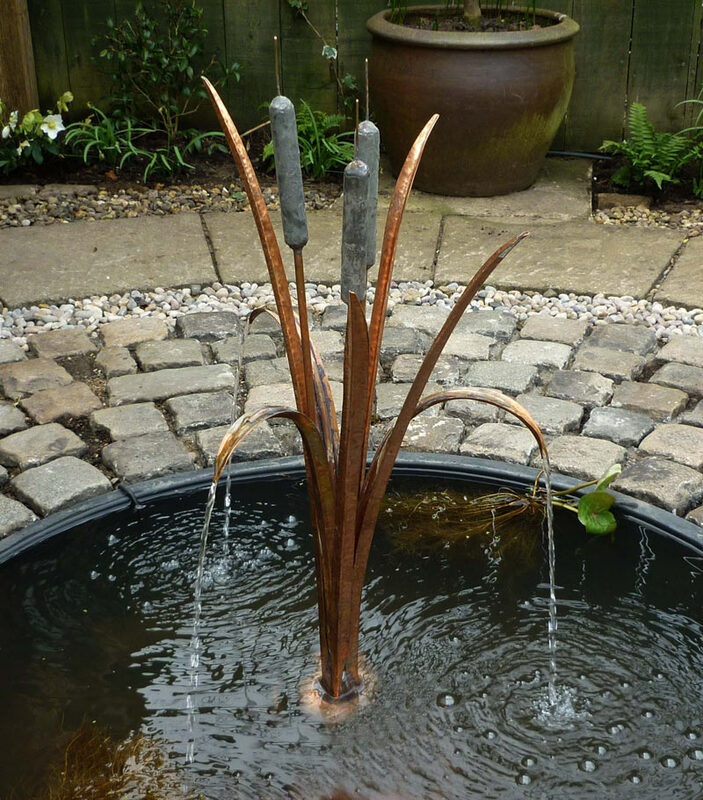 The Bulrushes copper fountain comes complete with a stone base, to enable it to sit on a plinth in a pond or pebble pool. 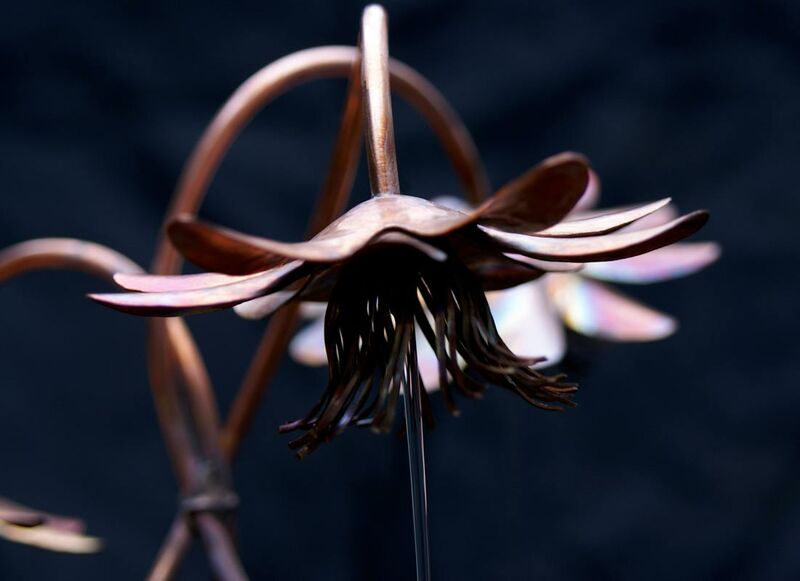 Every piece is entirely hand made, from the strap shaped leaves to the heads of the bulrushes, which are made from copper and then plated in lead to give a contrast in both colour and texture. The copper is left in its natural state, to benefit from the constant changing patinas building up over decades. 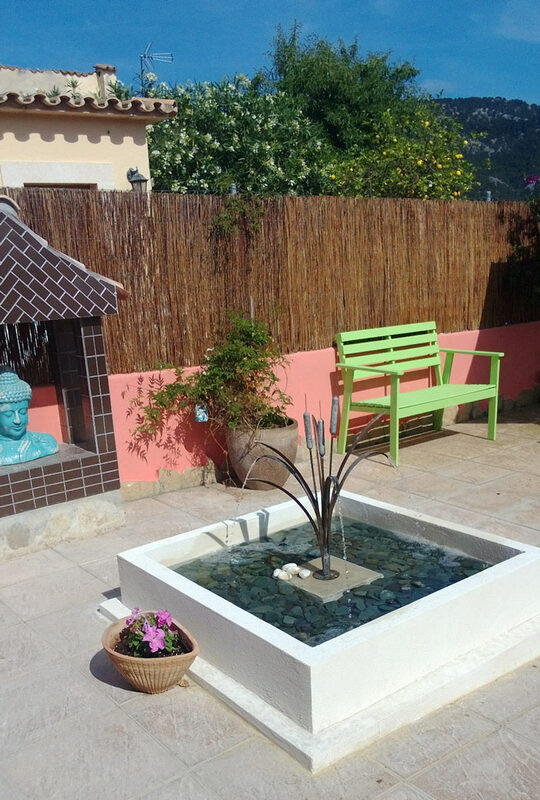 This process allows the fountain to blend perfectly into a garden. A relatively gentle flow makes this fountain easy to contain. 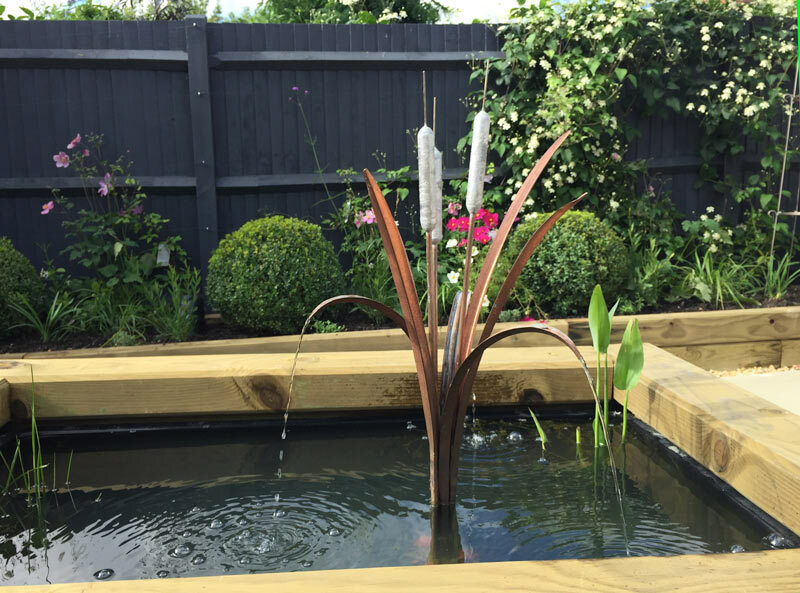 As featured in Homify Magazine as being an ideal fountain for a small garden. 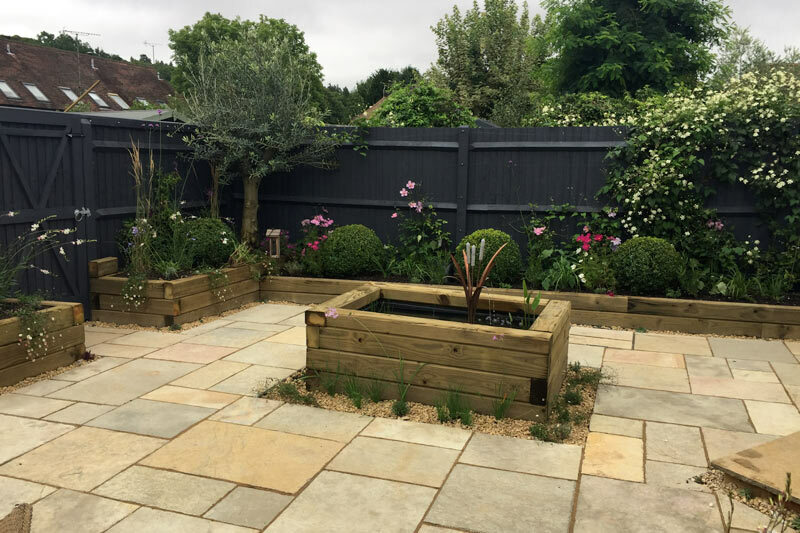 Gary has honed his skills have over many years, to produce some remarkably beautiful pieces of work, reflecting the natural plant forms that have been his inspiration. 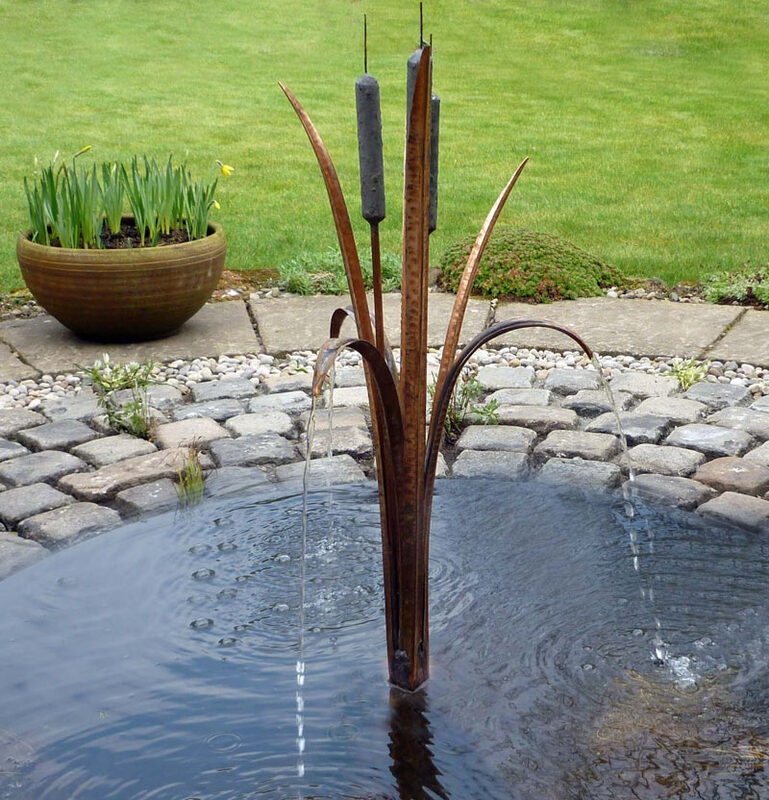 Since 1999 Gary has been producing his range of Copper fountains. Working in his modest workshop in East Yorkshire, he produces high quality pieces, from original designs. Through a process of annealing and hammering, lifelike forms are made from a plain sheet of copper. Where appropriate, all key joints are made using a specialist, hard solder, which makes a union stronger than the material itself. This enables the creation of a piece of sculpture, which may look light and fragile, but is in fact extremely strong.